Kasumi Goto, The Best Thief in the Business! 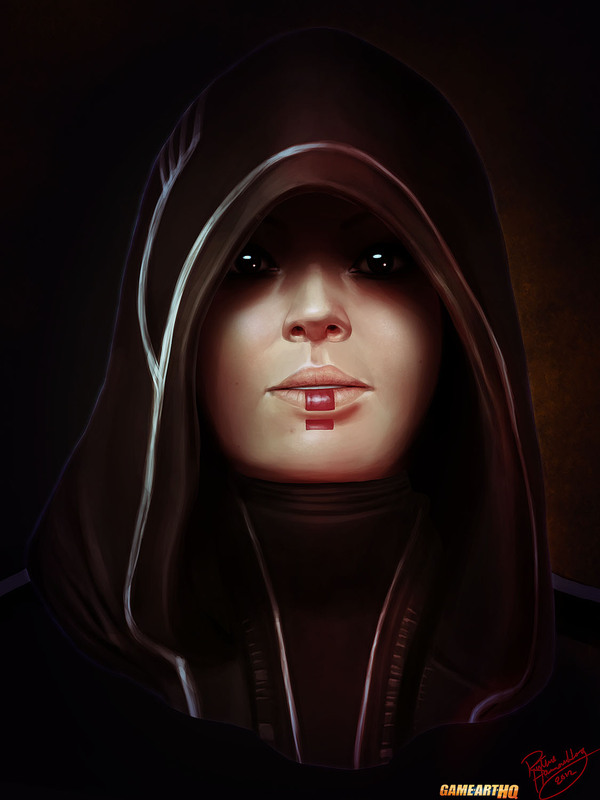 I am featuring the Mass Effect Character Portrait Series by Ruthie Hammerschlag now since a week. So far this Kasumi Goto portrait is my favourite of her works, but there is more to come and show next week. Kasumi Goto is a thief in the Mass Effect Universe and has enemies everywhere, no wonder she hides her probably beautiful face.